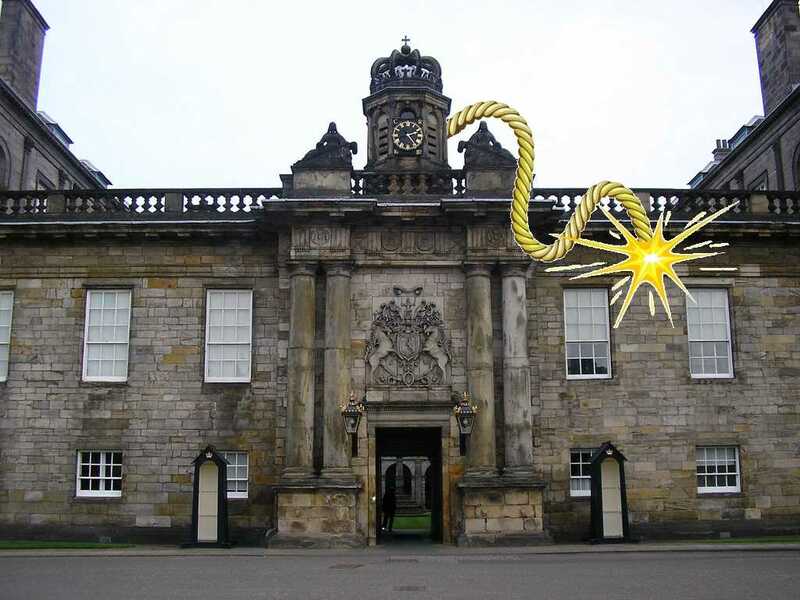 Harry wants to blow up the Palace of Holyroodhouse because huge royal estates make him furious and he has to cycle past this one daily. It’s probably not right to, and he doesn’t want to go to prison anyway, so he’s building a scale model and blowing that up instead. He’s inviting you to build and destroy models of the buildings and institutions you despise, and to join the explosive exploration of our hurt, our rage, and our struggle to figure out what to do about it. This is a performance about futility and urban planning, the limitations of art and activism, and discovering what the state can do to you. All participation will be monitored for monitoring purposes. Presented with the support of Florian Feigl, and performed in memory of Nigel Marsh. This project concluded in triumph at the SPILL Festival 2014, but lives on as a new participatory installation performance called SMASHY SMASHY. Read the post-explodem write-up of the whole project. Watch the video of the explosion, and the album of photos.